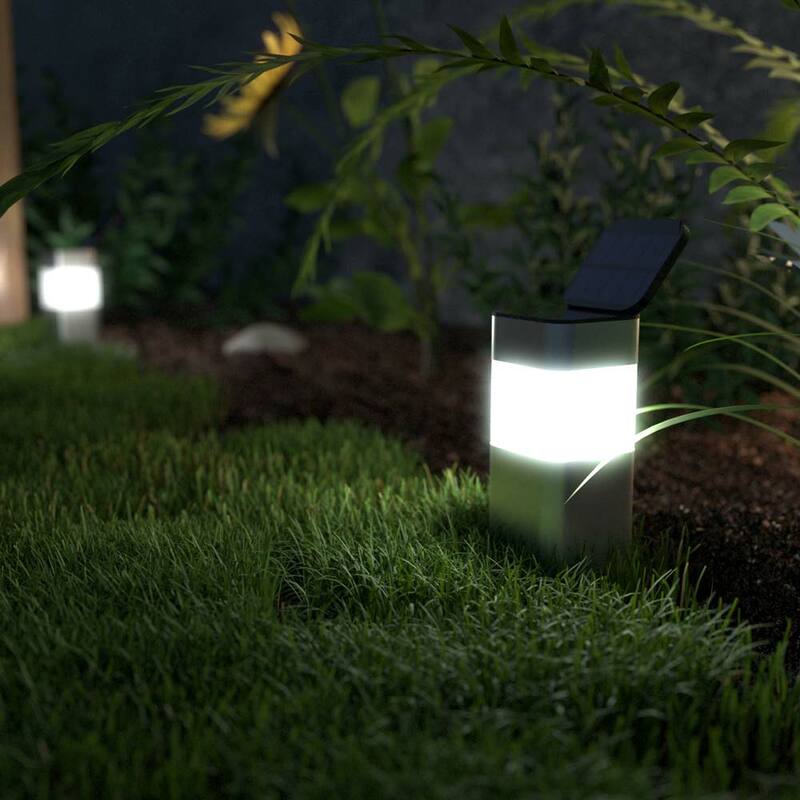 Made from high quality stainless steel the Mini Kodiak Solar Post Light is fully automatic, wireless and completely solar powered. Purchased to go on posts on the decking. Really happy with them. You certainly pay for what you get. Very happy with purchase & fast delivery. ðŸ˜Š thankyou. These lights are a chunky contemporary style and very well finished. They clearly look more up-market than the average. The level of light emission is very good and in fact I was surprised they produced such a high level in the first few very cloudy days after I positioned them. I may get more of the taller version shortly for elsewhere. Ideal ,classy lights ,exactly what I wanted.Sadly we discovered concert under the soil so weâ€™re unable to use them as could not get stake in ground. Excellent customer service as I had to return. Many thanks. Very pleased with both quality and service. Lights were exactly as described, well packed and with fast free delivery. Give out an amazing amount of light and I have now ordered more of these. I love these mini solar post lights. My husband screwed them into rustic railways sleepers in garden. They throw out lovely light. Very easy to fit. Weâ€™ve now brought several items fom this wonderful company company and have never been disqppointed. You really canâ€™t bet them for quality at great prices. Such fast delivery and wonderful service. Just wish I had room for more lights. They have transformed our garden. 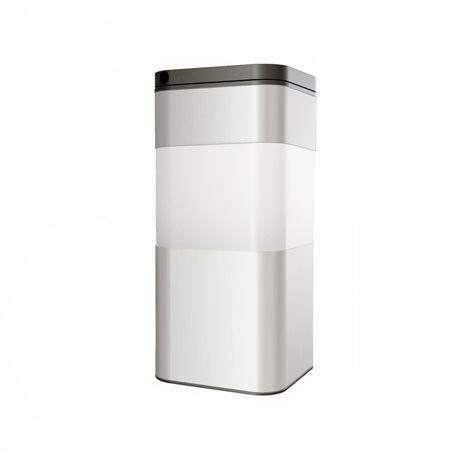 This beautifully designed solar post light is perfect for contemporary settings where mains free outdoor lighting is preferred. Using our latest Edge Technology™, the Mini Kodiak's solar panel power can be doubled by deploying its second solar panel with a simple lift and twist of the top. Designed for year round use in the UK, the Kodiak comes with Powersaving Technology™ as standard which gives you the option to double runtime in return for a slight reduction in brightness. 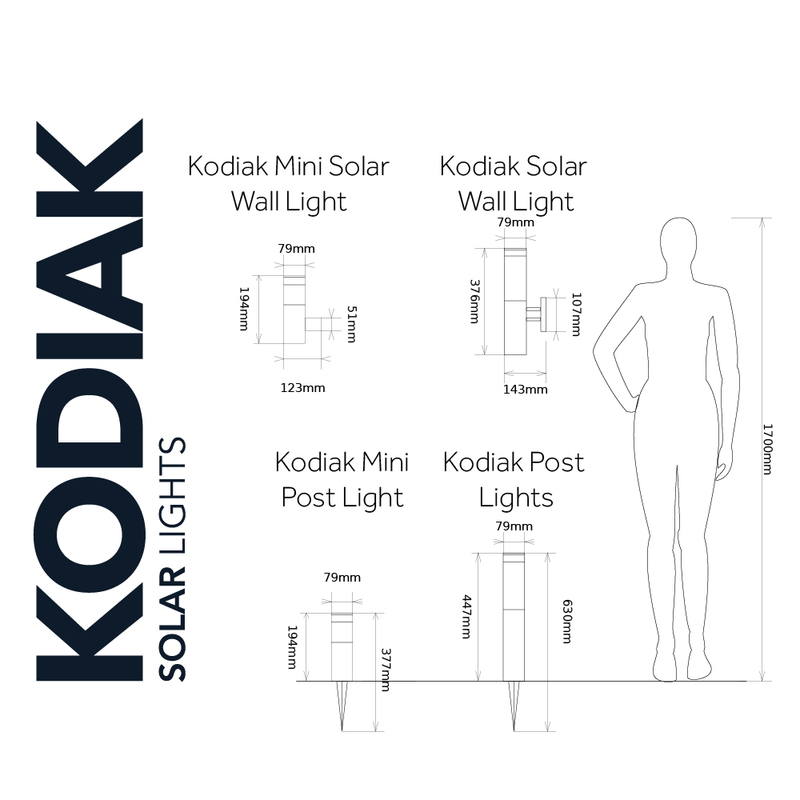 has the Kodiak mini solar post light the same brightness as the mini London solar post? 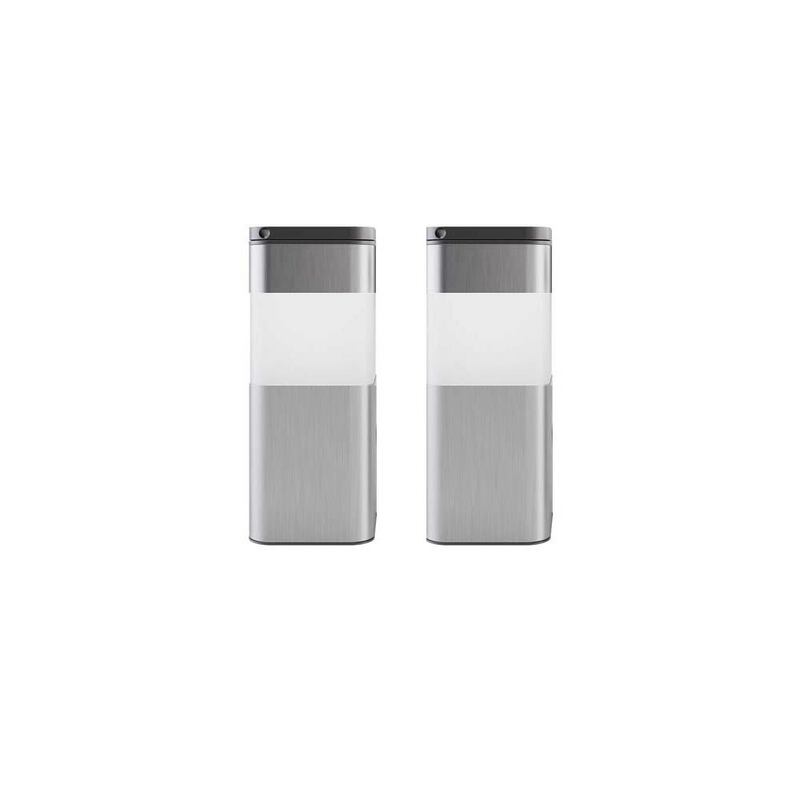 Can you tell me the lumen output of these compares to the larger Kodiak post lights? Also, can you confirm how many and what size batteries are in the smaller of the Kodiak lights? The lumen output is the same in all the Kodiak Lights. Each top has two AA reachargeable batteries. Can this mini post light be used without the spike and simply fixed on to a surface such as a wall? The base plate is made of plastic so you can drill into it and fix the light to a floor or decking but you'd have to do this little bit DIY yourself.